At the end of the each section in the book, I’ll ask you to stop and take a moment to pause your machinery—your default programming, when your mind goes on automatic pilot and tells you to react to a new event just as you did to a previous event it judges to be similar—and to do a brief written exercise. 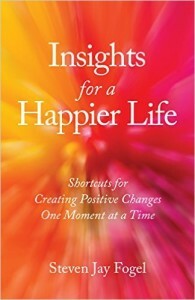 The concepts and techniques in this book will help you learn mindfulness, and these brief exercises will give you the opportunity to step outside the pattern of passive reading and bring yourself into the present moment to reflect and to apply the information to your life. Keep your written answers because they will be valuable for you to review later and to refer to in doing subsequent exercises. You may want to use a new notebook or open a computer file so you can keep all your responses together in one place. Even if you do only some of these exercises and read the rest but don’t do them right away, just pausing your machinery and reflecting mindfully on the instructions—particularly the questions I ask you to ask yourself—is a powerful tool that engages you in the process of being mindful. Recognizing different points of view that conflict with each other and communicating effectively about them may take some practice. Here are some exercises to help you reflect on your experiences and develop these important skills. If there is someone in your life whom you have difficulty resolving arguments with, reflect mindfully on a recent situation where the two of you disagreed. Describe how the other person viewed it and how you viewed it. Mindfully reflect on the differences between your points of view, and describe the differences between your “virtual reality” in regard to that situation and the other person’s. Now reflect on whether each of you respected the other’s perceptions. Did you attempt to resolve your disagreement by starting from respect for each other’s perceptions? Do you think that seeing such disagreements from the point of view of conflicting virtual realities will help you discuss and resolve disagreements in the future? If so, describe the steps you’ll take to communicate respectfully and work to resolve disagreements when disagreements come up. Reflect mindfully on recent situations in which you’ve felt hurt by or angry at another person. In these situations, did you use an I-message or a you-message (“I felt hurt when you said . . .” versus “You hurt me by saying . . .” or “I felt angry when you said . . .” versus “You made me angry when you said . . .”)? If you used a you-message, reflect mindfully on whether this made the other person defensive and harder for him or her to acknowledge your feelings and understand why you felt hurt or angry. If you think that you would benefit from your using I-messages instead of you-messages, describe the steps you will take to make this change. When we disagree with others, we may become silent in order to avoid conflict and/or to mull over the disagreement and come to a mindful conclusion about what we really feel. If we are silent during a disagreement so that later we can state our point of view clearly and without anger or judgmentalism, we are acting in a way that’s conducive to resolving the disagreement. If we are silent during a disagreement and never clarify what our point of view is, it can lead to a misunderstanding in which others think that we are agreeing with them simply because we’ve never voiced our disagreement. Reflect mindfully on whether you use silence productively or in ways that lead to misunderstandings. If you see that you do use it in dysfunctional ways, describe a recent incident in which your silence led to a misunderstanding. Now describe what you will do in the future to express yourself clearly and avoid misunderstandings. Reflect mindfully on whether you have trouble saying no. If you do, describe two or three recent situations in which you would have liked to say no but didn’t. Then describe the reason you didn’t say no. Reflect on what these situations have in common. Were you afraid of a particular reaction if you said no? Reflecting on your past, can you see interactions in your childhood or later that led to a fear of saying no becoming part of your default programming? If you would like to change and become fully self-expressed, write a new Guiding Principle that will empower you to say no when you want to.